A GP IN New Zealand has been unable to recruit a doctor to work in his practice despite putting some pretty great terms on the table. Up for grabs is a $400,000-a-year (€242,336), three-months holiday per annum, a four-day week, no night or evening work and, as if all that wasn’t enough, a potential recruit would also be given half of the practice. Not bad, especially considering that the wages on offer are almost double what a GP would normally expect to take home in New Zealand. Despite all of that however, Dr Alan Kelly told the New Zealand Herald has been unable to find anyone to take up the post. He explained that he has resorted to online job sites after four medical recruitment firms had been unable to fill the post over the past two years. Dr Kelly said that the big problem was the stigma attached to rural medical practices. “Auckland has the biggest medical school and most kids who go to medical school come from wealthy families in the Auckland area,” he said. If they recruited more students from rural areas, they might actually come here. 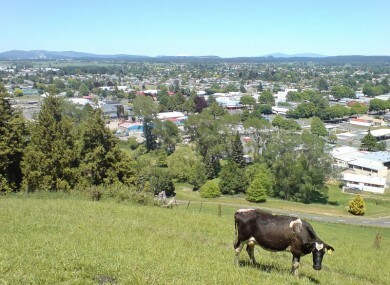 The 61-year-old said that his practice in Tokoroa, a town on the country’s north island, had grown substantially over the past number of years and he now has around 6,000 patients. “I love my work and I would like to stay but I hit my head against a brick wall trying to attract doctors,” he went on. Also: Is the secret to a long life eating raw eggs and steak everyday? Email “There's a GP job paying €243,000-a-year that nobody wants ”. Feedback on “There's a GP job paying €243,000-a-year that nobody wants ”.